My earliest memories of the legendary Dolly Parton go way back to the mid-sixties while visiting my grandparents in East Tennessee and they would watch the Porter Wagoner Show on television. I’m sure that I wasn’t the kid in early grade school who became instantly smitten by the attractive and talented country star. 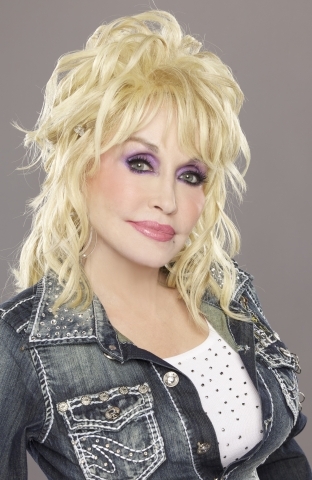 For those from East Tennessee (like yours truly), it’s been a joy to watch the East Tennessee native and legendary icon as she rose to dizzying heights in her country career, crossover into the pop genre, then over into movies and then into non-musical ventures like the globally popular Dollywood. This overwhelming, consistent success has allowed Dolly to give back – not only to her native Sevierville, Tennessee, but to the entire world. Her most notable way of doing this is through the Imagination Library that she founded to help stamp out child illiteracy. She’s funded this through her own donations as well as through the donations of fans from around the world. 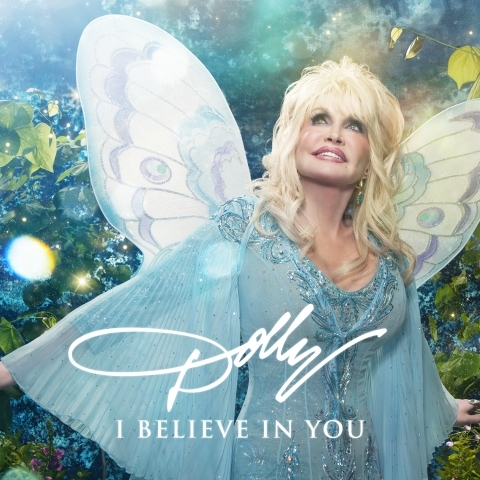 Her latest donation is with a little twist that we can all take part in: For the first time in her fifty-year career, Dolly has recorded an entire children’s album entitled, “I Believe In You,” whereby the proceeds will go to the Imagination Library. It was to promote her new CD that I was asked to participate in a “virtual press conference” with a handful of other entertainment writers and journalists. The focus was to be on the new CD but a few questions on other topics were slipped in by some of those participating. The song, “Making Fun Ain’t Funny” is a tremendous anti-bullying song. Ms. Parton shared what the inspiration was for such a tune. To me, the most poignant song on the CD is “Chemo Hero,” which is about pediatric cancer. It seemed very personal so, when it was my turn to ask a question, I asked if she could share the story behind it. “Yes, I can! When you do see the actual CD of the album, inside there’s a picture of two little girls kissing me on the cheek. They’re two of my little nieces. The one on the left is Hannah Dennison. She’s my sister, Rachel’s daughter and when she was four years old, she got leukemia and we almost lost her for years and years. 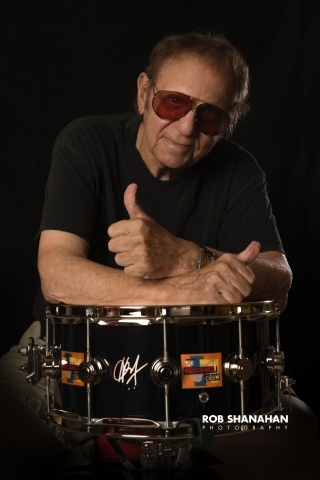 “When she was sick, I wrote Chemo Hero and Brave Little Soldier for her and about her and, at that time, I took a bunch of my little nieces and nephews and her friends and took them into the recording studio and recorded that and some other children’s songs and fun things for her to have a little tape to listen to while she was recuperating. I just thought that children that go through all of that – sick children - not just necessarily cancer patients but sick children in general (would enjoy the song). “Well, it’s very important. I think all children should be able to read. I actually started the Imagination Library over twenty years ago when my father – I actually did it in honor of my father who was never able to read or write. My dad got to help me with it and he felt very proud for me to be doing that and to involve him in it. He got to live long enough to see it doing well. He got such a kick out of seeing people call me the Book Lady. When asked has her faith in Jesus made a difference in her life and in her work for children, Dolly’s answer was straightforward and unwavering. “Well, first of all, I think children love to see other children in movies. I think they love to see how other people live. Based on the question I was just asked before what I was talking about, I really think there’s a need for families to pull together more. I think we’re so apt to babysit our children with television or with games and all that. Opry City Stage is opening in New York City’s Times Square later this year so Ms. Parton was asked what she thought of New York as a home for country music. In the movie, there’s a great line where you and your mother were going through some tough times that said, “Mama ain’t sewin’ and Dolly ain’t singin’.” Dolly shared about the connection between sewing and singing and especially as creative outlets for her and her mother. About halfway through the call, Dolly shared the story of her first guitar and the instrument that she dreamed of owning when she was growing up. “Oh, well, music was such a part of our whole family. All of my mama’s people were musical. They all played some sort of a musical instrument. And, of course, I took my music real serious and I was always pluckin’ along on somebody’s instrument – whatever they would be layin’ around or whenever family would come. But I always loved the guitar. The questioning veered back to Ms. Parton’s songwriting and if it differed for I Believe In You differ from other albums. “It was fun for me because, actually, the biggest part of the songs on this album were inspired by the book that we give away through the Imagination Library. Every time we give out the book, we get a new book, I write a song kinda based loosely on what the idea of that book is about. The very first one, I Believe In You – the very first book that we give out is The Little Engine That Could – that’s the first book we give out through the Imagination Library. I use that line in that – just that positive thinking. I believe in you just like that little engine that we’ve all read about. Well into the call, Dolly was asked for the story behind her smash hit, I Will Always Love You, and what did it mean to her years later when Whitney Houston recorded it and made it one of the biggest songs of all time. “That’s a very good question. That song is so deep-seated in my heart, in my soul. Back years ago – in my early days – I worked with a man named Porter Wagoner. We had one of those relationships that we were so much alike that we couldn’t get along – or we were so different we couldn’t get along. But we had a great love. It was kind of a love/hate relationship. I always wanted to have my own band and I told him at the start that I wanted to go out on my own. But it was very, very hard. He had a number one television show at the time and for me to leave was going to take a big hunk out of his show but I still wanted to get on. “So, it was personal to us. Then, years later, when Whitney did it, I didn’t know she had done it. I had sent it out to L.A. when they had asked for some of my music. Kevin Costner – he and his secretary had loved that song. I sent it out but I hadn’t heard anything about whether or not they did it. Ms. Parton then her confidence in entering the country music world and determination in charting her own path in it – especially as a woman. Favorite song on the CD? Giving back is, obviously, a huge part of Dolly Parton’s life. She explained why. Fifty years ago, Dolly released her debut project and today, I Believe In You. She was asked the “I Believe In You” Dolly would say to mentor the “Hello, It’s Dolly” artist? “Ha! Ha! I think I would say, ‘I think she’s in her second childhood!’ I didn’t realize that it was fifty years ago! Then, I was a young girl and now I’m doing a children’s album! I think I’m in my second childhood! Ha! Ha! That just hit me funny when you was sayin’ that! 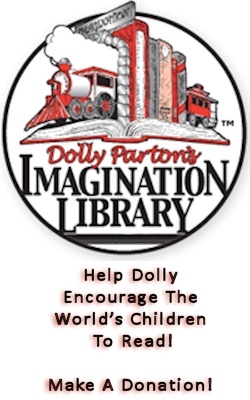 Dolly later explained why it is important that she be such a strong advocate for children with Imagination Library and album. “There’s an old Whitney Houston song – speaking of Whitney Houston who’s been good to me because of I’ll Always Love You – but there’s a song she had called ‘Children Are Our Future’. I loved that song and I think that’s such a true statement. We have to teach the children, like that old song, Teach Your Children Well, and if you can teach them to read – even if they never have the money to further their education – they can find something they can read up on anything they want to know and least learn it. “But it’s really a handicap if you can’t read. I really think that that’s important because I know how children need to have self-esteem and that gives them confidence if they can do those little things. To put books into the hands of children – that’s the reason why we put their little name on it personally so that they get these books in the mail box with their name on it. They’re gonna wait there for the mail or they’re gonna get home from wherever they’ve been and go to the mail box to see if their little book is there. They have a sense of pride that makes them take some time. It’s important for children to have self-esteem and to know how to read and to feel important, that they can do something. Dolly shared how she keeps herself inspired to make music after all these years. It’s been almost 40 years since she recorded, “Here I Come Again,” which was a big turning point in her plan to breakout beyond country and catapult her into superstardom. There was industry uproar and fear of what that meant back then. What did she think about it back in that time and what did she know that everyone else didn’t? As the call wrapped up, Ms. Parton was asked if this children’s album connected her to her childhood in any way and, more specifically, any memories she might have had of her mom growing up. “I have so many memories of my mom and, yes, I always think of my family, my brothers and sisters, and my childhood when I write any of these songs; think of just children in general, and I try to become that little child again the way that I was back then: the little musical child that did want to write and sing. So, it’s easy for me to put myself in that place. But, certainly, my mother – the older I get the more I realize how much she really meant to all of us and what all she instilled in us.